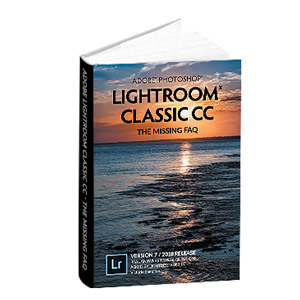 Lightroom Classic Tutorials > Troubleshooting > How do I reset Lightroom’s Preferences? How Do I Reset Preferences? In Lightroom CC/6, there’s a simple automated way of doing it—just hold down Alt and Shift (Windows) / Opt and Shift (Mac) while opening Lightroom and it’ll ask whether to reset the preferences. The timing is crucial—hold them down while clicking/double-clicking on the app/shortcut. Alternatively, in Lightroom CC/6 (or earlier versions), you can reset the preferences manually. Moving or renaming the preferences file, rather than deleting it, means that you can put it back if it doesn’t solve the problem, to save you manually recreating your preferences again. If Store presets with this catalog is unchecked, press the Show Lightroom Presets Folder button. If Store presets with this catalog is checked, uncheck it, press the Show Lightroom Presets Folder button. Don’t forget to check the checkbox again after step 4, otherwise you’ll wonder why your presets disappeared. Whichever way you choose to find the folder, close Lightroom before going any further. Rename, move* or delete the Lightroom 6 Preferences.agprefs and any earlier versions (but leave the Lightroom 6 Startup Preferences there), then restart Lightroom. Open Finder and select the Go menu. Hold down the Opt key so Library appears in the menu, then click on Library. Move this file*, plus any other Lightroom preference files (e.g. com.adobe.Lightroom6.LSSharedFileList.plist or older versions), to another folder or delete them. Reboot your computer (because OS X caches some preference files), then restart Lightroom. If your presets are missing, go to Lightroom menu > Preferences > Presets tab, check Store presets with this catalog and they should reappear. * Moving or renaming that preferences file, rather than deleting it, does mean that you can put it back if it doesn’t solve the problem, to save you recreating your preferences again. If you reset your Preferences file, the obvious settings that you lose are those in the Preferences dialog, but it also includes other details such as your View Options settings, last used settings, FTP server details, some plug-in settings, your country, etc. Your original photos, Develop settings, Develop defaults, collections, presets and other important settings aren’t affected by deleting the Preferences file. The Store presets with this catalog setting also reverts to default (unchecked) if you reset the preferences file, but the presets themselves are perfectly safe, and checking the checkbox in Preferences causes the presets to reappear. On Lightroom CC/6, there are also separate startup preferences which don’t usually need resetting. These include the last used catalog path, the recent catalog list, which catalog to load on startup and the catalog upgrade history. My local disk doesn’t have enough room to run Lightroom, so I wanted to switch the scratch disk to one with more space, but because it won’t even run, I can’t access Lightroom presets. Any tips?? I have no way of opening Lightroom. Lightroom doesn’t have a scratch disk. Perhaps you mean the Camera Raw cache? You can also change that setting from Adobe Camera Raw preferences in Photoshop. If you can’t access that, I’d find another way to clear out some space so you can open Lightroom. You might want to move your catalog and previews to a new drive though, as they’re likely taking up a lot of space. You want at least 10% free, and ideally 25%. If you fill the drive to the brim, the operating system can’t work properly. The problem I’m trying to solve is the sudden appearance for the beachball, for a second or two, each time I make a change to a radial or similar type of filter. I’ve tried creating a new catalog with only 1000 of the about 65000 files in my catalog in it and that didn’t help. Use GPU is disabled. So, I’m going to try resetting the prefs. BTW, this is LR 6.4 with Mac OS 10.10.5 on a late 2012 iMac with 32gb RAM. Thing is, when I created the new catalog, it had lost all of the info about my flickr exports and also, all of the albums I created with the Turning Gate plug-in for my website. Is there a way to reset the prefs without losing that somewhat critical info?? If creating a new catalog with 1000 of the photos didn’t help, then there’s no need to create a new catalog – you can just go to File > Open Recent and open your old catalogs again. I am totally stuck. Don’t know what I did. I hit auto in the develop and now all my photos have bright red spots all over. All I want to do is get back to the regular develop mode and it won’t let me. it just has the tone thing and red eye adjustment. HELP!!!!! I have a friend who inadvertently deleted all of his Lightroom presets. Is there a way to recover them? Ouch! You could try checking the Recycle Bin/Trash, but beyond that, no, not unless he has backups, sorry. I tried reinstalling LR but no luck. If it’s the built-in ones Amy, go to the Preferences dialog > Presets tab and you’ll see there are buttons at the bottom for restoring built in presets. Have lightroom 5.6 was told to get rid of the beach ball go to preferences. very nervous about going to the box and checking it as you-advise “store presets with catalog” do not understand about turning lightroom off :Quit lightroom and go to finder that would be in the general operation of the mac you mention Move this file*, plus any other Lightroom preference files (e.g. 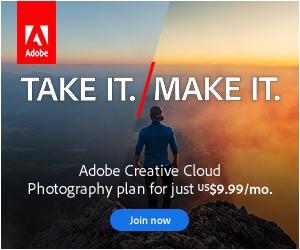 com.adobe.Lightroom6.LSSharedFileList.plist or older versions), to another folder or delete them. I have the above version lightroom 5 not 6 so I guess this will not work. Confused about “Default location settings” box,”location” box which has the tiny box this is currently unchecked “Store presets with catalog” and the third rectangular box that has many drop down windows it says “lightroom defaults” Restore is always the first word – then EXPORT PRESETS, FILENAME TEMPLATES, LIBRARY FILTER PRESETS, AUTO LAYOUT RESETS, KEYWORD SET PRESETS , TEXT TEMPLATES COLOR LAYOUT PRESETS, TEXT STYLE PRESETS 8 SMALLER WINDOWS… FINALLY A LONG BOX RESTORE LOCAL ADJUSTMENT PRESETS Is this in fact what I would be doing by deleting the preferences setting the default back to factory settings? ANOTHER WORDS THE PREFERENCES WAY IS THE QUICKER WAY TO GET THINGS RIGHT.? instead of individually pulling down these menus, which I have not pulled down, I am very nervous about deleting the catalog or not finding it. Could you walk me thru this? The reason for this inquiry was the beach ball appearing in lightroom My guess is I should DELETE the old version of lightroom and photoshop . I upgraded as stated before to lightroom 5 and Cs6 photogshop THE DISC NOT CLOULD was nervous about deleting the old versions. but never had the beach ball before, and was told have a lot of space on the mac USING LION 10.7.5 ALSO RECENTLY CALLED ” APPLE” HELP WAS GIVEN TO CLEAN UP THE CACHE. AGAIN DO NOT LIKE THE BEACH BALL . CANNOT SEEM TO DO THE EASY WAY AS EXPLAINED BY YOU AT THE TOP, I HOLD DOWN OPT AND SHIFT SIMULTANEOUSLY OPENING LIGHT ROOM THE WINDOW DOES NOT COME UP WHAT DOES COME UP IS MENTION OF THE CATALOG ICRAT 5 NOT THE WINDOW YOU SATE. “RESET LIGHTROOM PREFERENCE?” AGAIN DOES NOT APPEAR FOR ME. Resetting Lightroom’s preferences is often a good idea when you’re having problems, since corrupted preferences can cause all sorts of trouble. Since you have Lightroom 5, just replace “6” in the file names listed above. Holding down Opt and Shift won’t work because you’re not on Lightroom 6 (as the instructions say above). You’ll need to use the manual method, also explained above. The Lightroom Defaults buttons are used for putting back missing default presets, but won’t be necessary if you just reset preferences. Hi Victoria, I’m having problems with lightroom’s print module. I was messing around with profiles and tried a custom profile for a paper which i had. I didn’t like the result so switched back to the adobe rgb profile and since then lightroom has been printing in draft quality. The draft mode printing box is unticked and i’ve tried adjusting resolution and every other setting i could think of. Do you think i should try your ctrl/shift trick….? Worth a shot Trevor. I’d also check the printer driver, in case that’s the area that’s set to draft quality, rather than Lightroom itself. Is there a way to reset the “helpful hints” that appear the very first time each module is entered? I’d love to see them again. Just bought a new macbook pro and installed Lightroom 2015.6.1. Calibrated my new monitor and thought things were fine until I sent photos to be printed at my lab. They called to say they looked dark and muddy. Ugh! I suspect this has something to do with LR preferences and possibly the ProPhoto color space. My lab suggests using sRGB, which I was converting to once editing in Photoshop. (I didn’t think LR assigned a color space, but not sure about this.) I saved the photos for print in PS and thought they’d be fine. Do I need to reset my prefs in external editing to be sRGB? Would that remove the ProPhoto color space in LR altogether? Thinking no since it’s “external editing.” Trying to decide if I need to re-edit from scratch my last three clients who I’ve edited on this new Mac. Can you help me get my settings right so that I get back to great looking prints? I realize I need to send out for a new set of test prints, but want to make sure I get my settings right first. THANK YOU A MILLION TIMES! ProPhoto is great as a working space between LR and PS, but most labs aren’t set to deal with it. When you export the photos (or save them for the lab in PS), you need to be exporting to sRGB. I chose beginner mode when installing, by accident. I’m more advanced then the beginner tools, and want to know how to revert back to the ( other 2) options. I’ve tried resetting as per above, but I don’t get the option, it just shows me the 5 basic steps of how to get started. There isn’t a beginner mode Mendy. Just close the 5 tips and then you’re back to normal. Hi Guys, I have Lightroom 5.7 on Windows 8 64bit. Up until today when I imported a file from my hard drive the image would open in the Develop mode. All of a sudden , for no reason, it opens the image in the library mode. It is not a train smash but it means I now have to click Window then Develop to get started editing. How do I get it to default the import into the develop mode again ? Ignore the above , I have got it sorted ! LR CC, LR Classic CC, etc. will not open on my mac anymore. I have tried uninstalling and reinstalling (both separately) and they will not open, I need to force quit to get out. I’ve also attempted to reset my preferences and when I opt+shift on open to try to reset, the app freezes and will not complete the task. The fact that neither opens makes me think there’s a problem on your computer. What’s changed since they last opened ok? OS upgrade or something like that perhaps? I’m guessing you’ve tried rebooting the computer? Thank you, thank you, thank you. My life is redeemed. LR had become so sluggish after the latest ‘update’ that it had destroyed my workflow and reduced me almost to tears. Everything was painfully slow, if it worked at all. 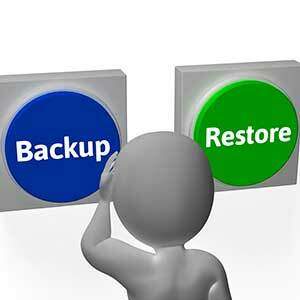 Resetting the Preferences using the simple startup method has transformed it. Faster than ever. So fast I’m feeling giddy, clicking on folders and watching the thumbnails fill the screen in an instant – instead of (say) two minutes. Hurray! Why the heck don’t Adobe just incorporate this non-destructively into their Updater? Oh I’m so pleased to helped Gary. It’s amazing how often it fixes issues that don’t look to be related. Excellent! This fixed several issues I was having with Classic v7. Thanks so much!! Weird. The last three times I loaded images into a new folder, an image from an earlier (and random) folder appears in the place of a “new” photo. It even retains the same image name as the rest of the new images, but it is a different photo from the rest of the ones in the folder. Long time LR user…since version 1. I have not changed any preferences….always up to date with the newest version. HOWEVER, I am using a newer memory card in my camera (hmmm…is that where there’s a problem?). Should I reset my preferences? Was this in the import dialog, or actually in Lightroom itself? I hope you can help me. I am using LR 6.14 (hard copy) with Camera Raw 10.1 on iOS 10.14.2. I was trying to tethered with my Canon Mark II (Firmware 2.1.2) and it doesn’t work. When the cable was connected between the camera and the Mac, the tether function didn’t work. I clicked the shutter but the image didn’t automatic transfer in the LR like it should be. I need to turn off my camera and turn it on again, and use Import to make the image show up in the LR. What should I do to make the tether work the way it should be? Which Canon Mk2 Sabrina? If it’s the 6D Mk2, tethering support wasn’t added until the following release (Classic 7.0), although raw format support was added earlier. Have a question about lightroom with Mojave 10.14.3 & 10.14.4 working but slowly on iMac 5k 27 in 2017 model with CC2019. I can not open .ai files in mac mail but I can from my webmail. Any thoughts? Feel free to post your Lightroom question on the forum (linked in the menu) as you didn’t tell us what the question was! As for your AI files, I’d suggest contacting Apple.